Baritone Christopher Cull and pianist Niall Kinsella perform a recital exploring songs of wandering, distant lovers, and the search for home. The programme includes Vaughan-Williams much-loved songcycle “Songs of Travel”, Beethoven’s “An die ferne Geliebte” (To the distant beloved) and Mörike songs by Hugo Wolf. 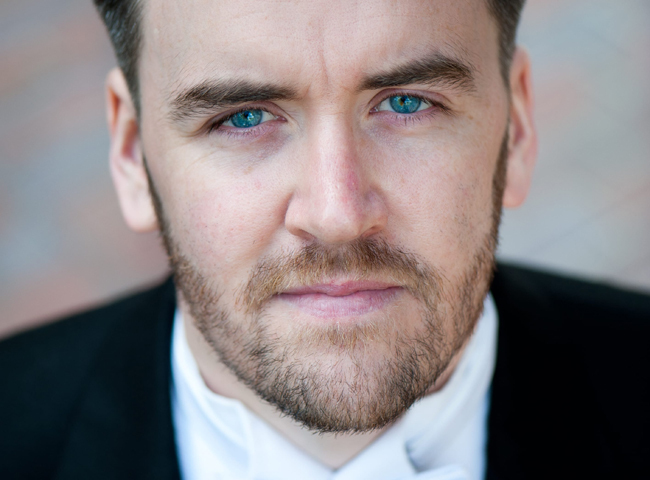 Recent concert engagements include Bach’s Johannes-Passion (RTÉ National Symphony Orchestra), Walton’s Belshazzar’s Feast (Barbican), Elijah (Truro Cathedral), Monteverdi Vespers 1610 (Sheffield Oratorio Chorus), Ein deutsches Requiem (The Angmering Chorale), Messiah (Knock Basilica) and a concert of arias with the Ulster Orchestra, broadcast by the BBC. Christopher is an Arts Council of Northern Ireland Young Musicians’ Platform Winner, was a finalist in the 2014 Chilcott Award, and a former Young Artist with Opera Theatre Company. Christopher’s studies have been generously supported by The Girdlers’ Company, The Countess of Munster Musical Trust, The Simon Fletcher Charitable Trust, The Arts Council of Northern Ireland and The Arts Council of Ireland. 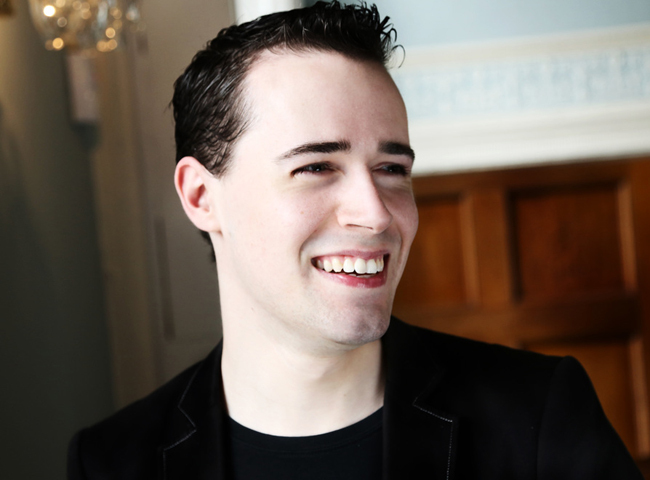 Irish pianist Niall Kinsella studied at the University of Music and Performing Arts, Vienna with Prof. Barbara Moser and at the Royal Irish Academy of Music, Dublin. In July 2017, Niall studied at the prestigious Franz-Schubert-Institut, in Baden-be-Wien, Austria, where he worked with pianists Roger Vignoles, Julius Drake, Helmut Deutsch, Wolfram Rieger, and singers Elly Ameling, Robert Holl, Birgid Steinberger and Andreas Schmidt. He has also received coaching from renowned lieder pianists Graham Johnson, Iain Burnside and Sholto Kynoch, and participated in opera masterclasses at the National Opera Studio, London. Niall is currently based in Vienna. In demand as an accompanist for singers and choirs, Niall has performed extensively throughout Europe, in Austria, Czech Republic, Italy, Spain, United Kingdom and in Ireland, where he has enjoyed collaborations with some of the country’s most respected singers and chamber ensembles. In Vienna, he has toured as accompanist to the Webern Kammerchor, performing in Barcelona, and at the Wiener Musikverein & Konzerthaus. He has performed in recital with Wiener Staatsoper baritone Igor Onishchenko at the Mozarthaus, Vienna, with Metropolitan Opera singer Korliss Uecker in France, and American mezzo-soprano Tammy Hensrud in an all Kurt Weill programme in Ireland. From 2009-2016 he was a Performance Tutor at the Maynooth University, Ireland, where he was répétiteur and piano teacher. He also held the position of accompanist in the Choral Department of the national broadcaster, RTÉ, and has recorded and broadcast frequently on radio. He has accompanied masterclasses of lieder experts Ann Murray DBE, Alison Browner and Prof. Richard Stokes, lieder professor at the Royal Academy of Music, London. Upcoming projects include the first CD recording of the complete songs of Irish composer John F. Larchet on the Champs Hill Records label, performances of Schubert’s Winterreise in Budapest and Vienna, and a Shakespeare programme with British baritone Andrew Ashwin. More information at www.niallkinsella.com.